BioOx ushers in a new era of clean, breathable air for your swimming pool. Using patented biotechnology, our freestanding BioOx units use natural enzymes to destroy harmful toxins in the air. BioOx units draw in chloramines and other toxins, expelling clean air and making your facility a healthier and more enjoyable place to swim. HVAC systems simply move air around, increasing operating costs. The BioOx system actually cleans the air, decreases operating costs and dramatically lowers corrosion throughout the facility. BioOx units plug right into standard electrical outlets and require no construction of any kind. Model 85 is the smallest in the BioOx system. It measures approximately 66cm x 28cm (26in x 15in) and is perfect for locker rooms, front lobbies or small therapy pools. Model 300 is the most common unit in the BioOx system. It measures 112cm x 53cm (44in x 21in) and is the most popular option. A high school pool will typically need 3-4 of the 300 units, while an Olympic-sized pool is best served by 6-7 units. The 5,000 units are the most powerful in the BioOx system and measures 165cm x 104cm (65in x 41in). Some facilities prefer them, while others prefer to have a greater number of smaller units dispersed throughout the facility. The exact size and number of units needed for a swimming facility depend on its size and layout. We are happy to work with you to design a plan that best fits your facility’s needs. Swimmers spend hours each day in the water, and coaches spend hours each day on the pool deck. Every day, they’re breathing in harmful chemicals that lead to coughing, teary eyes and difficult breathing. 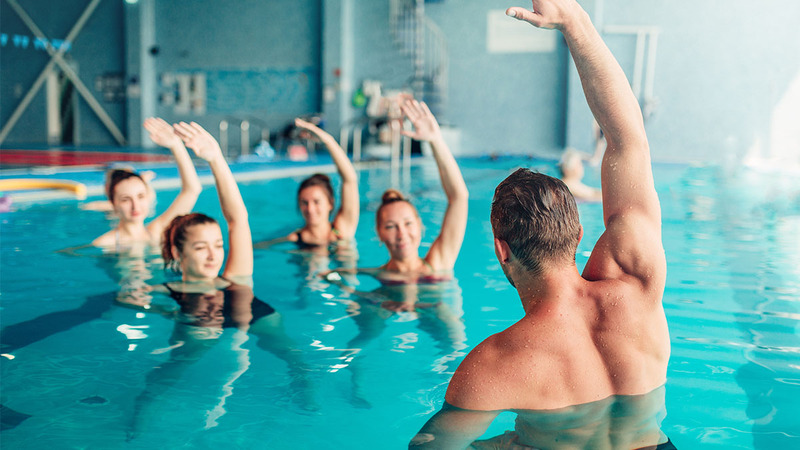 By getting rid of toxic chemicals, the BioOx system ensures all patrons have a healthier and more pleasant experience - whether they’re training for Olympic qualifiers, coaching at the collegiate level or watching their child’s swim lesson. 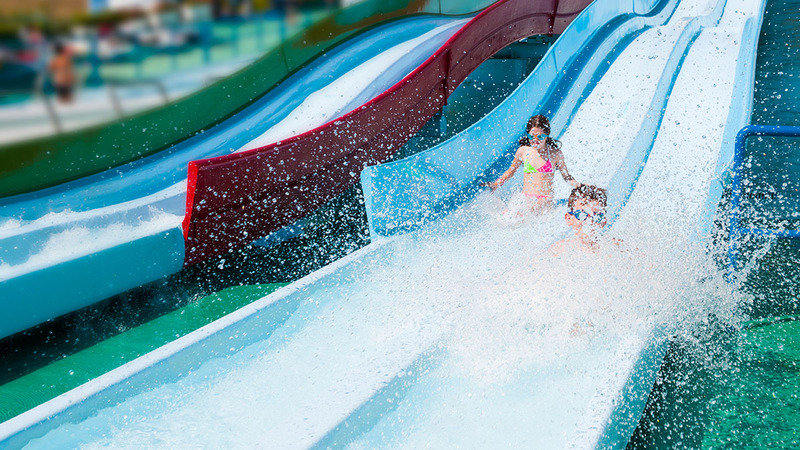 A trip to a waterpark should be a time for family fun, but visitors can quickly feel congested and ill from the chlorine-filled air. Several BioOx units stationed around the pools and water slides can keep visitors safe and help them better enjoy their experience. Whether a guest is traveling for work or fun, a hotel pool is an added benefit that can help enhance their experience. 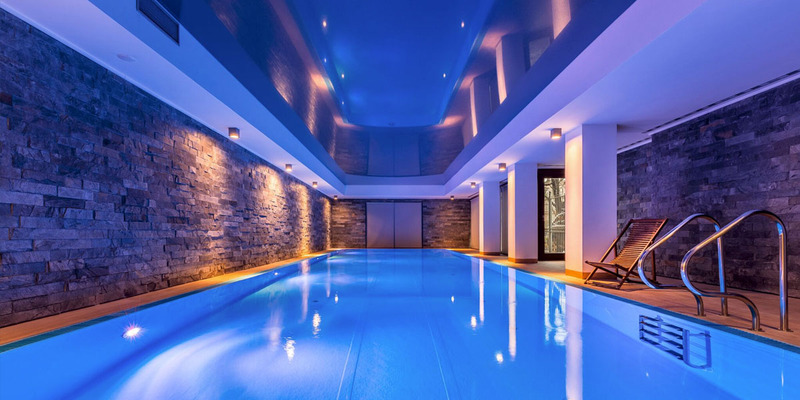 BioOx units make guests more comfortable as they enjoy your facility and they also prevent the chlorine odor that frequently spreads into rooms and hallways located near the pool. Therapy pools are an integral part of training and recovery - make sure swimmers and patients are spending time under the best conditions. It only takes 1-2 BioOx units to dramatically improve conditions in pools like these and optimize the time that users spend in them. BioOx units are so nonintrusive that patrons may not even notice them. Units are placed off to the side of a room or pool deck, often in corners, and pose no safety risk to swimmers, coaches or employees. Whether a guest is traveling for work or fun, a hotel pool is an added benefit that can help enhance their experience. BioOx units make guests more comfortable as they enjoy your facility, and they also prevent the chlorine odor that frequently spreads into rooms and hallways located near the pool. The BioOx system requires very little upkeep. Just add water to each unit about once a week and pour in the BioOx media—a chemical­free liquid comprised of natural enzymes—1-2 times per month. A minimal cleaning 3-4 times each year helps keep the BioOx units functioning most efficiently. The entire BioOx system can be easily installed in under 2 hours, and your facility can remain open the entire time. Simply plug the units into the wall, fill with water and add a small amount of the BioOx media. 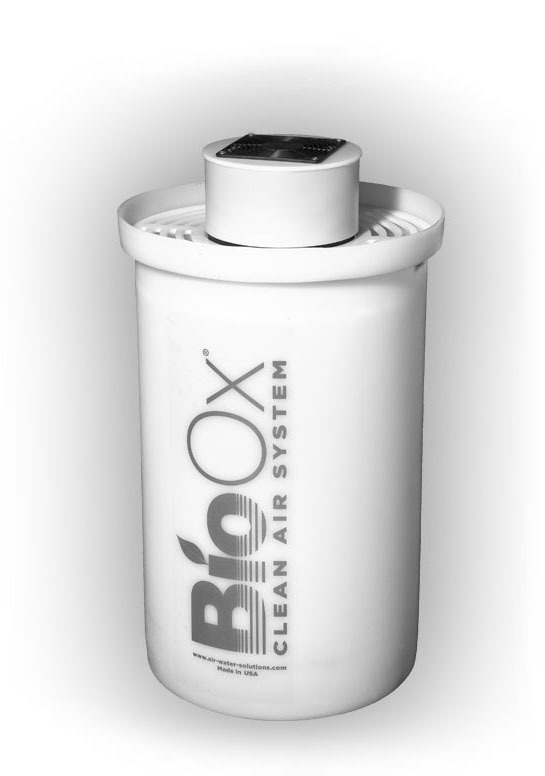 The BioOx system can be purchased for a small fraction of the cost of HVAC air cleaners. We keep costs incredibly low because there is no construction or extra equipment needed to install our system. While exact price varies based on facility size, the BioOx system costs up to 90 percent less than other solutions. Alternatively, customers can participate in the BioOx Rent­To­Own program, which offers a monthly payment plan for financial flexibility. Copyright © 2017 Air & Water Solutions Inc. All rights reserved.